At Zero1zero Innovations, we know that small businesses are often burdened with managing their IT in-house. Maintaining, updating and integrating technology can be a full-time endeavor, taking focus away from operations. That’s where we come in. Our team of highly-trained engineers and IT consultants will design, implement, and support your IT infrastructure, helping you increase productivity and profitability. Who are we? Simply put, we are a group of people who really like what we do and we like doing it together. Zero1Zero began in 2006 and has been serving the Twin Cities region for more than 12 years. When you need IT to be affordable and easy to “understand”, we are your team. Mike is co-owner of Zero1Zero Innovations and a 21-plus-year veteran in providing high demand/high availability technology. He has spent his career analyzing technical requirements, performing strategic IT planning, implementing innovative design and keeping up with the latest technology security solutions. Mike started Zero1Zero Innovations believing that technology needs to help businesses – especially small businesses that can’t afford the resources of their larger counterparts- to use technology innovation to compete and be more productive. If honest, factual technology advice and insight is what you need, Mike’s your go-to guy. Outside of business, Mike’s a family guy with an eye on a multitude of adventures- from backyard barbecues to hikes, swimming, and road trips to Michigan. Adam Dorweiler, is the other half of Zero1Zero Innovations. 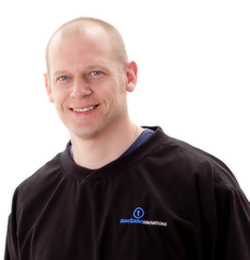 With more than 15 years of IT and business experience, Adam leads the technical team, specializing in support for the SMB market. 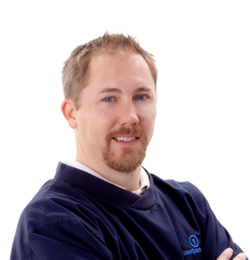 In the past few years, Adam has worked closely with several Minnesota businesses to shape and drive IT strategy to fit the needs of varying sized businesses. He believes service should be proactive. With a belief that IT cannot be reactive, Adam leads a team that is ready to tackle unforeseen and preventable IT challenges at any time. He’s a big believer that excellent, proactive IT is for any business and positions Zero1Zero Innovation to be that answer for small Minnesota based businesses. As a business owner, you already have enough to worry about. We’ll make sure everything pertaining to your network, systems, and reliability is handled so you don’t have to worry about it. Don’t just take our word for it, read what other business owners have to say about us. Expect total satisfaction with our products, IT Consulting, and technology support services. We’ll go out of our way to make sure you are a satisfied client. One Hour Response – Guaranteed for all of our managed service clients. Our technicians, capable of fixing your computer problem, will answer your call immediately or will respond in less than sixty minutes. We listen to what you have to say. Sounds simple and it should be expected. However, it has not been our experience that this actually occurs. By asking a lot of questions, we understand that the only way to know what clients really want is to listen instead of a lot of talking. Fast and Accurate Repair. We know you don’t want to waste your valuable time waiting for your computer to be fixed. Our remote network IT support services are the answer to this. This network support service allows your computer network to be securely accessed from our remote location. In an emergency we’ll dispatch a technician that same business day. You get faster performance, fewer “glitches”, and practically zero downtime. Some parts of your system will degrade in performance over time, causing them to slow down, hang up, and crash. Our preventative main¬tenance and network monitoring will make sure your computers stay in tip-top shape for maximum speed, performance, and reliability. We Talk Like You Do (No Geek Speak). Ask any computer support and maintenance questions and we will answer in terms you can understand. You will not be made to feel uncomfortable by our team of IT support experts with unfamiliar technical jargon. You’ll get the clear answers to your computer and IT support questions that you deserve. You won’t be made to feel uncomfortable by any technical talk by our IT support specialists. We eliminate spyware, popups and other distractions to keep you more productive. We hate spam, spyware, and other malicious infections just as much as you do – and we have the tools & experience to eliminate them. More importantly, we know what it takes to keep them out of your systems and network in the first place. As a Managed Service Plan customer, you’ll have access to a knowledgeable support staff that can be reached immediately should you have any kind of problem or question. The Most Important Thing To You Is YOUR Business – and that’s why zero1zero Innovations should be your IT company. We don’t waste time learning on your dime. We start with having trained engineers. If we can’t solve an issue, we will reach out to our network of experts for any additional support…at our expense. You will be alerted to any potential risks involved in completion of computer maintenance services upon our evaluation of your computer or network. We will explain to you any potential risks involved and get your approval before we begin the work. Start a conversation with us around your needs and how we can help you leverage technology for better results.